Being a freelancer has its ups and downs. You may find that you don’t have all the perks of working in a traditional office, however, for many it’s a tradeoff they’re willing to take for the freedom and flexibility of working and traveling anywhere. Studies have shown that remote work allows individuals to be even more productive, and the remote workforce is growing. People are starting their own home-based businesses, registering their business entities, getting websites set up quickly with optimized WordPress hosting, and launching full force into marketing. Other bigger companies are growing their remote workforce. Companies like Amazon and Apple have entire teams of remote employees across various departments. 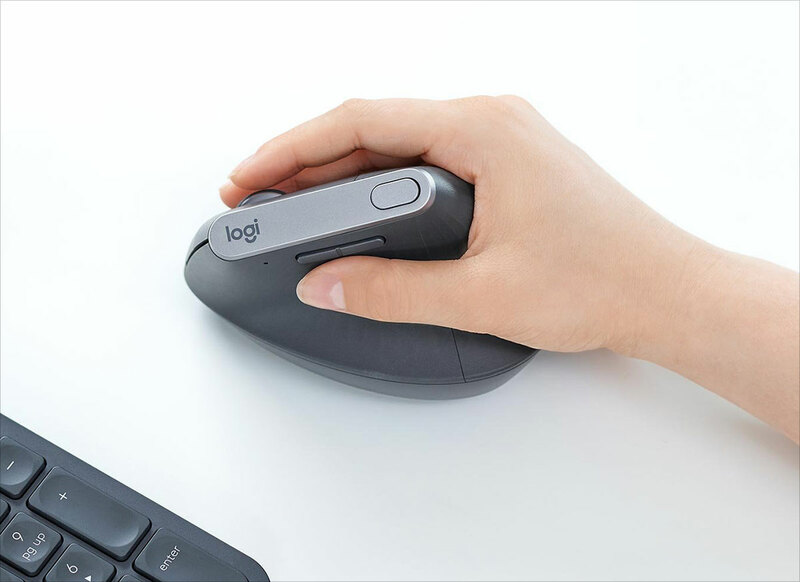 An ergonomic mouse is helps keep your wrist and hand at a healthy angle, which reduces the natural stress that traditional mouses put on your tendons and nerves. This is great for remote freelancers and employees who don’t have the conveniences of office-proofed products. There are even ergonomic mouses geared towards specific industries, like these ergonomic mice for graphic designers. 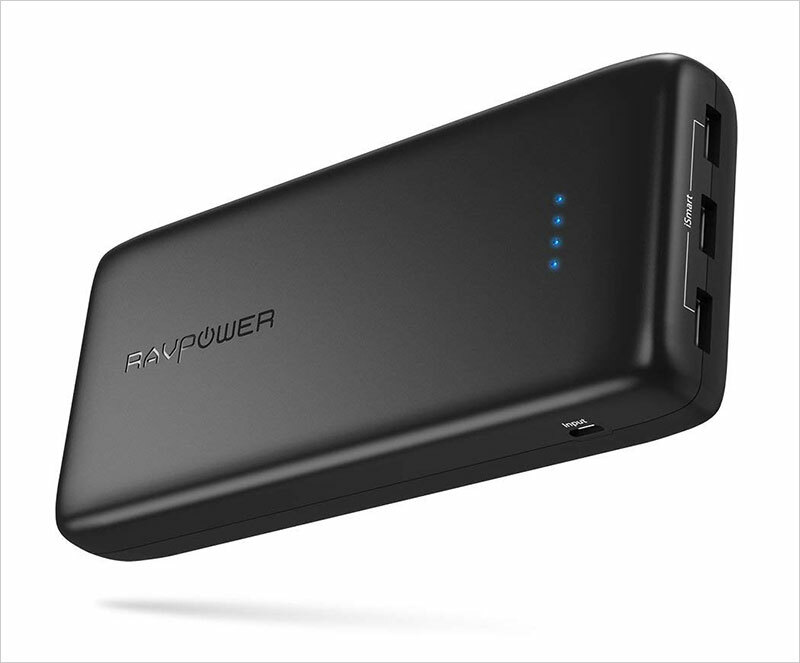 A portable charger is a must-have for anyone on the go, but this is especially important for traveling remote workers. Access to an outlet isn’t always possible, and the best power banks can be a massive lifesaver when you’re venturing from Point A to Point B. As a traveler, you probably want to have the best video blogging cameras on your side. Whether you’re a blogger or use your camera to work produce work with clients, there’s no denying that a handy camera can get the job done. Even if you don’t use footage for work, sturdy video cameras are a great way to record all your travel experiences while you’re on the road, and reflect back on your adventures at a later time. A remote worker who’s also a travel enthusiast will often find themselves in a situation where they need to get work done on public transportation, long journeys, or in public places. During these critical travel moments, a handy desk setup isn’t always possible. 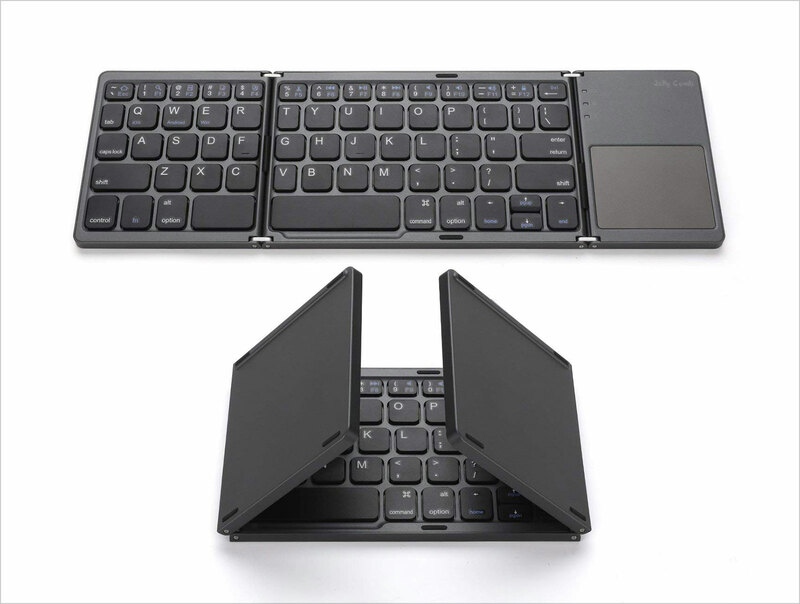 With a Bluetooth folding keyboard, you can get connected to your mobile device and work much more efficiently. For example, let’s say you’re a freelance writer and need to churn out a blog post in the next few hours. Simply connect your folding keyboard to your phone, open up Google Docs or a Word processor on your phone, and get to work. As a remote freelancer or remote employee, portable scanners can be very helpful. Whenever you need to print, scan, or sign documents, you’ll have this necessary tool by your side. This is especially useful when you’re on the go frequently. 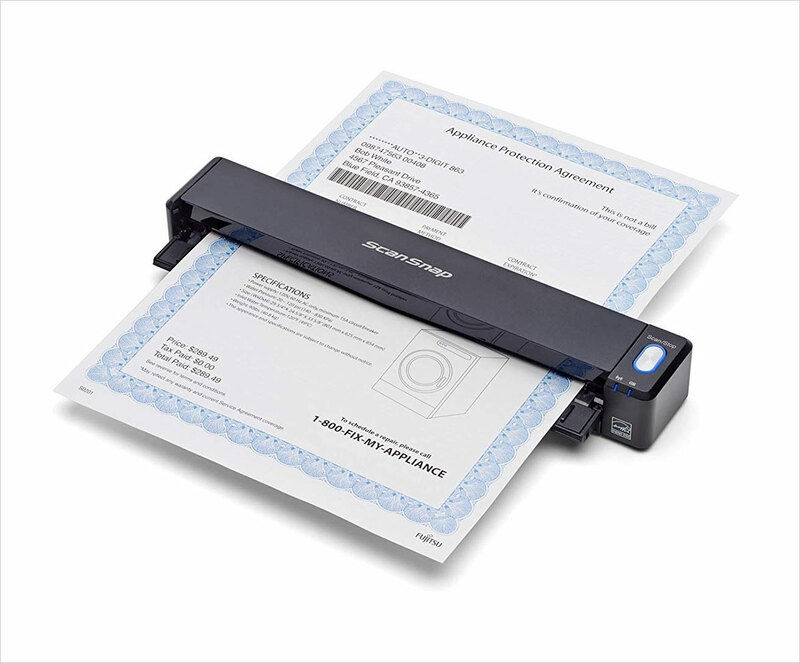 Use wireless scanners to scan and manage documents within seconds. If you handle paper documents often, this can be a lifesaver. Many wireless scanners even come with small travel bags, too. The first thing you might think of when the Chromecast comes to mind is Netflix and Hulu. After all, one of the primary uses of the Chromecast is to stream videos from your device. And while this is certainly useful, it also have another key feature that’s great for remote workers: the ability to work with two monitors. 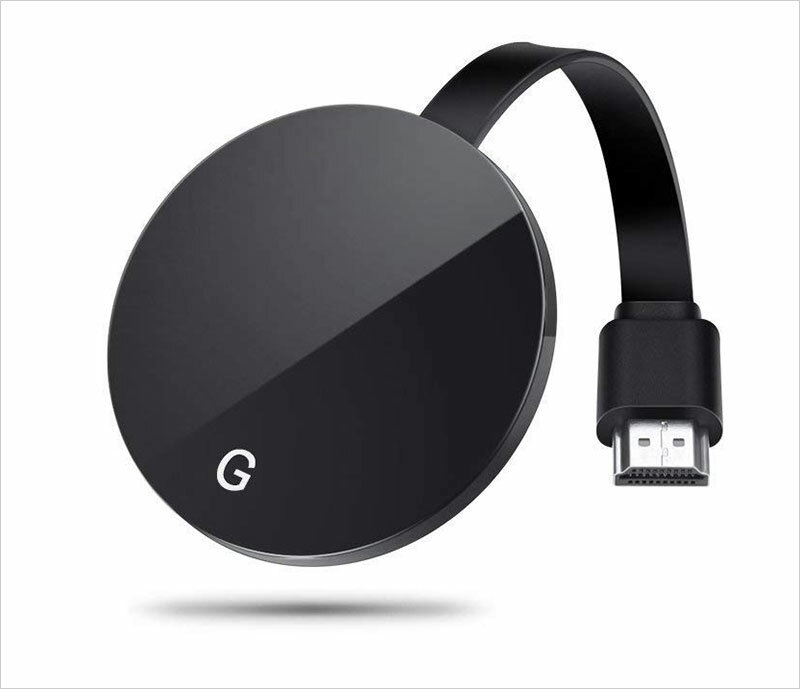 When you plug the Chromecast into a television, you’ll be able to cast content from your computer, tablet, and even your mobile devices to a bigger screen. This provides you with much more visual space to work with. 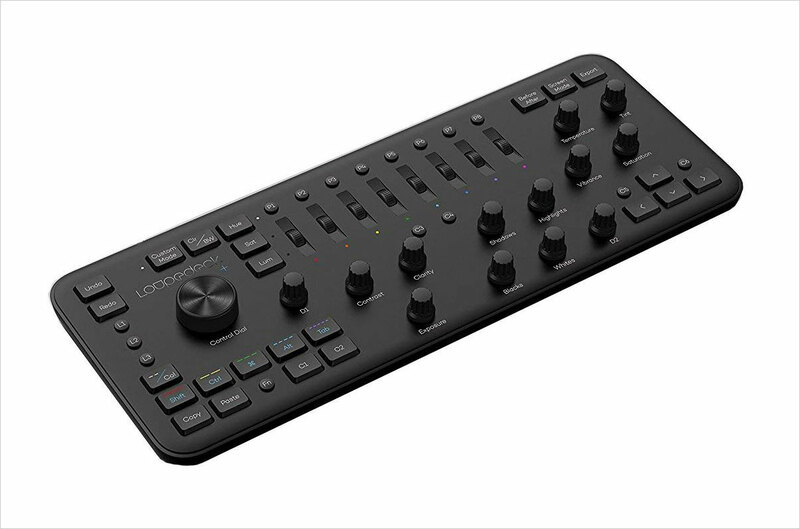 The Loupedeck+ is a console that replaces the traditional editing duties for Adobe Lightroom. There are buttons, toggles, and sliders that make editing a synch, no matter what industry you’re in. It’s ideal for bloggers as well. Using it allows you to speed up your workflows and be more efficient. A great travel backpack allows you to move around in style and protect all your technology and gear in the process. While there are many options you can choose from, the EO Travel Backpack is a great example of a backpack perfect for mobile workers. The concept was designed to be a replacement for the traditional roller backpacks you take on planes. 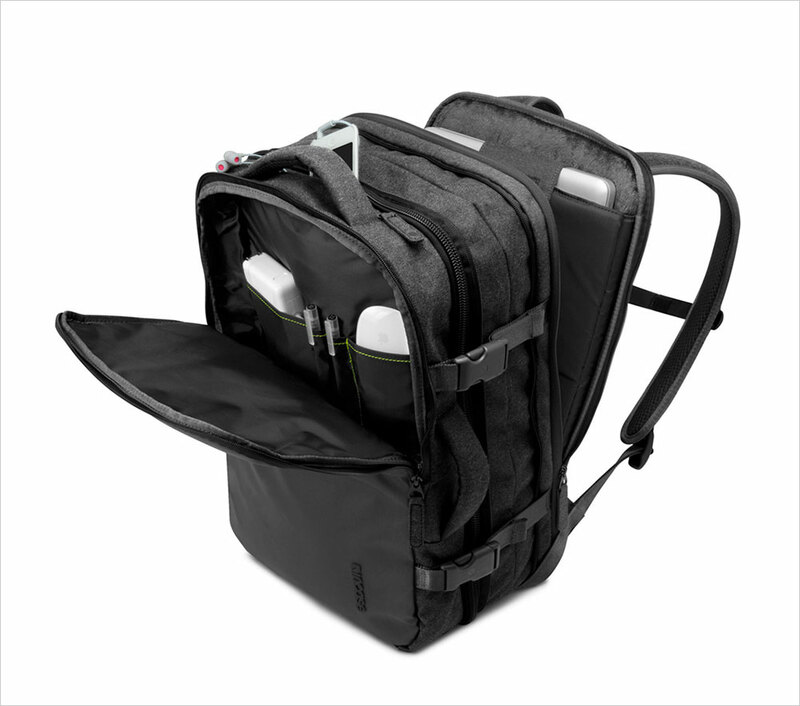 The front compartment comfortably fits three changes of clothes, while the back compartment allows to separate your computer from your files, running shoes, and various other items. It’s weather resistant, compact, and stylish, too. Working remotely means you live on your laptop for the most part. 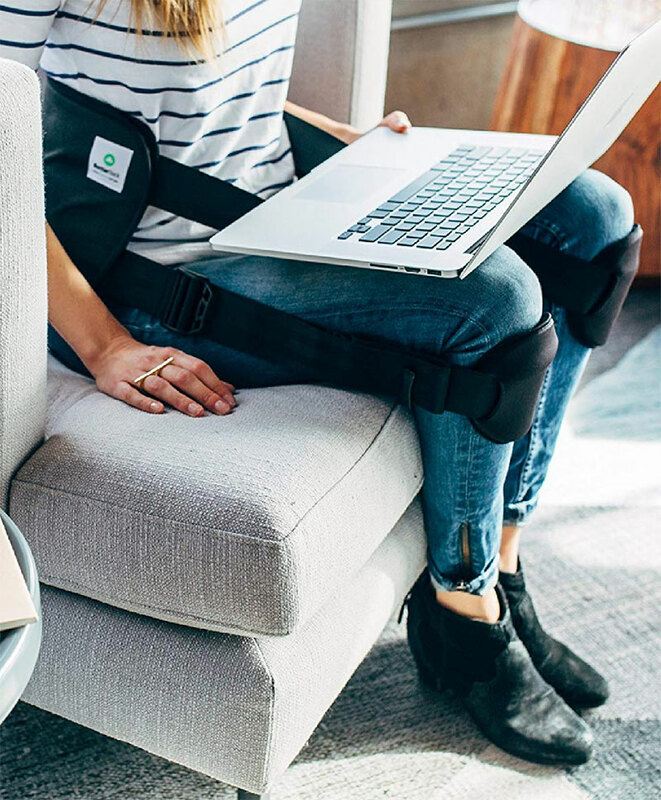 BetterBack is a Shark Tank-funded product ergonomic posture control system. This is especially useful for those who have a history of back pain or notice themselves hunched over often. This device will not only help keep your back in optimal position, but can help reduce inflammation and aches in the back. It also folds up neatly into a nice carrying case. Remote workers often find themselves working in public places, whether it’s a coffee shop, airport, or a coworking space. Without the convenience of private offices, there needs to be a way to tune out the world around you. 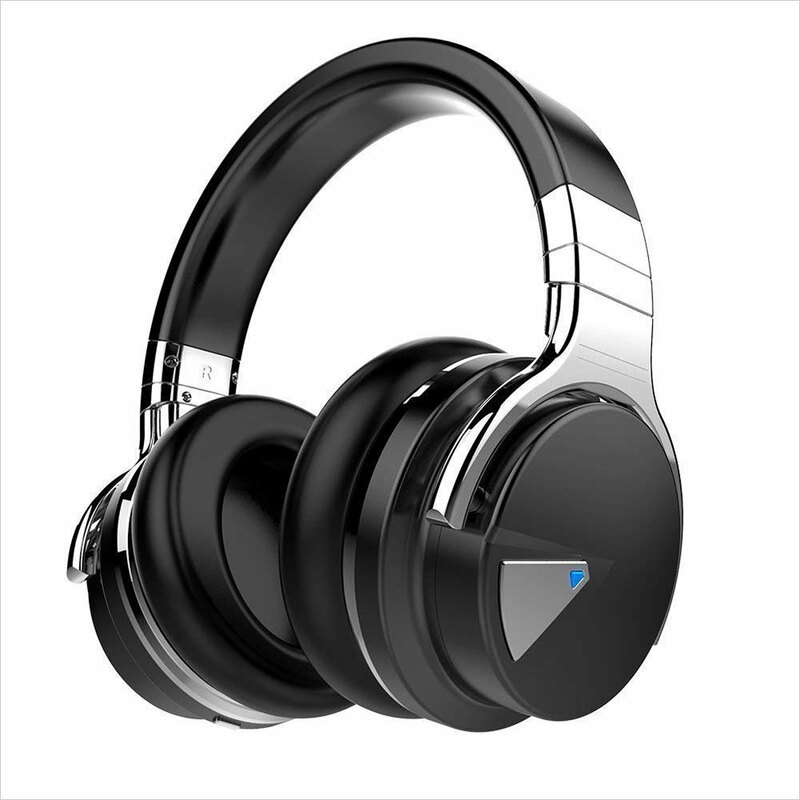 Noise cancelling headphones are a great way to eliminate the distractions and hone in on your work.